Rx-direct.com is the online pharmacy I would be talking about in this article. I would be finding all my finding with you. 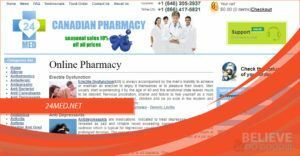 Going through this online pharmacy, I noticed that it has been in existence since 1999. But I was unable to discover where it operates from. What I could discover however was that it is contracted with a number of affiliates around the world in order to provide medications cheaply. In other words, drugs ordered come from various locations. This pharmacy sells a variety of drugs like Antibiotics, Blood Pressure Drugs, Dietary Supplement, Antidepressants, Pain Relief, Weight Loss, Erectile Dysfunction etc. 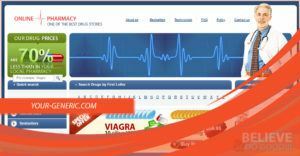 The erectile dysfunction drugs that you can buy on this pharmaceutical platform are numerous. However, they are generic versions. Some of the popular ED meds I have seen on RX-direct are generic Cialis, generic Viagra, and generic Levitra. This pharmacy sells the generic Cialis at $1.29 per pill, the generic Viagra at $0.95 per pill, and the generic Levitra at $1.49 per pill. Note that these prices are based on the dosage and the number of pills you buy. Lower prices come with lesser dosages and a higher number of pills. The drugs sold on this website appears to be FDA approved as I can see the FDA seal and a couple of other pharmaceutical agency seals on their website. Therefore, all drugs contain safe and approved substances. When I tried placing an order, I noticed that both credit and debit cards are accepted on this platform. However, note that only Visa and Mastercard are accepted on this platform. And for the shipping options available with this vendor. I have discovered that they ship orders via Registered Mail and Express Delivery (EMS). Registered Mail takes 15 to 30 days to deliver parcels, but it is free of charge. On the other hand, EMS costs $29.95 inclusive of shipping insurance. This method takes a shorter period of 7 to 10 business days to deliver parcels. 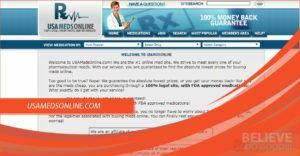 In case you need to speak to the support team of Rx-direct, you can do that by phoning them or leaving a message on their website. They claim you would get a response swiftly. Their toll-free customer care line is +1 (844) 241-4210. 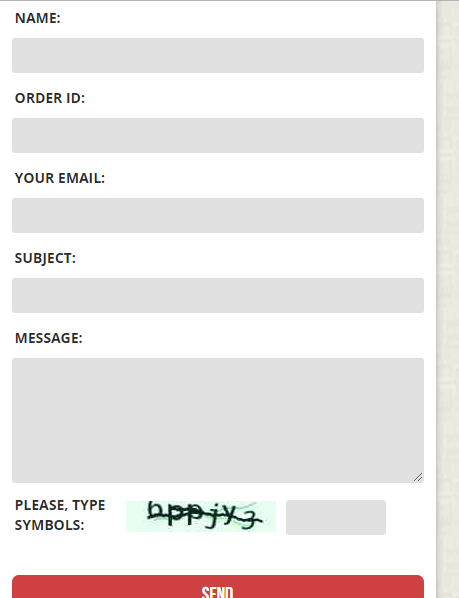 And for their Contact Us form, check how it looks below. Furthermore, I have discovered in the FAQs section of this website that if a customer’s order is damaged or something is missing, they would either do a reshipment free of charge or give a refund. To ascertain the reliability of this vendor, I have decided to go in search of reviews dropped by customers regarding this pharmacy. Though I saw no reviews on any external website, I found a few displayed in the testimonials section of Rx-direct. Bear in mind that these testimonials cannot be 100% trusted since they are part of the content on this website. I mean they could as well have posted it themselves. Wayne tells us about his experience buying meds from Rx-direct. In his feedback, he sounds totally satisfied. He attests to the quality of the drugs sold by this pharmacy as he says the Ativan he bought from them works. He says “this is real”. I would share with you two more reviews from 2017 so we could further have an idea of this pharmacy’s service quality. 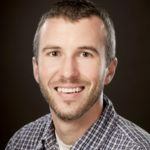 Dan has a positive thing to say regarding his experience shopping on Rx-diretc.com. He commends their delivery and support saying “outstanding”. However, I have a problem with the fact that he gave them a 2 star rating. I mean if he was so satisfied I mean why give this vendor a 2-star rating? Well, let’s take another customer review. Samantha also drops a great feedback about Rx-direct. She tells us that this vendor has never failed to deliver her orders timely. She says they have “never failed”. With this reviews, one can say Rx-direct.com is doing very fine. However, take a look at these reviews for a second, you should notice that they were all dropped on the same day. This is the same with all the testimonials displayed on their website. This in no doubt buttresses my point regarding the fact that their on-site customer reviews should not be trusted fully. I would say that it is better you try a pharmacy that has positive customer reviews from a trusted source. One other thing I checked for was discount offers. And I was able to find some on their website. This offer guarantees that customers would get a 15% discount when they make orders that are worth $350 and above. 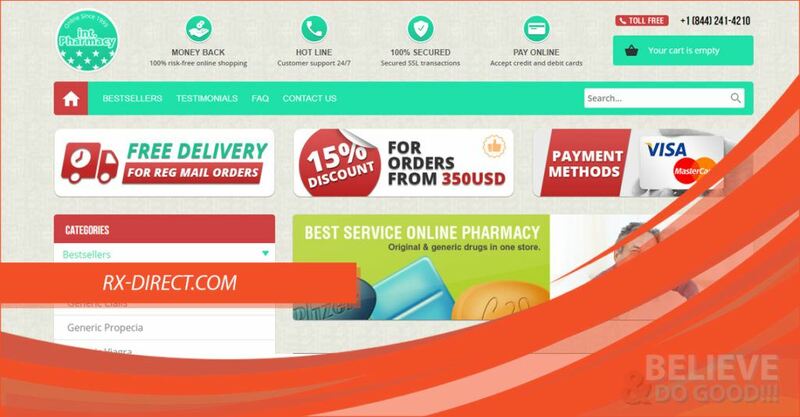 Rx-direct gives customers a totally free Registered Mail delivery on all orders. This is a quite generous offer, I must say. Rx-direct.com appears to have been around for a while selling drugs to its customer base. This website also has a great interface. Another strength I see is the accreditations of a number of pharmaceutical regulatory bodies like FDA, CIPA, IPABC etc. They also have a well-secured payment gateway. However, I have a problem with the lack of customer reviews from an external trusted source. A pharmacy with this number of years in pharmaceutical service should have a certain level of online reputation. But this pharmacy appears to have a low popularity after all these years. Another weakness is the absence of a live chat. Additionally, the testimonials on their website don’t seem genuine. This sort of makes me have some sort of distrust for this pharmacy. I would recommend that you go to another pharmacy with trusted positive customer feedback.